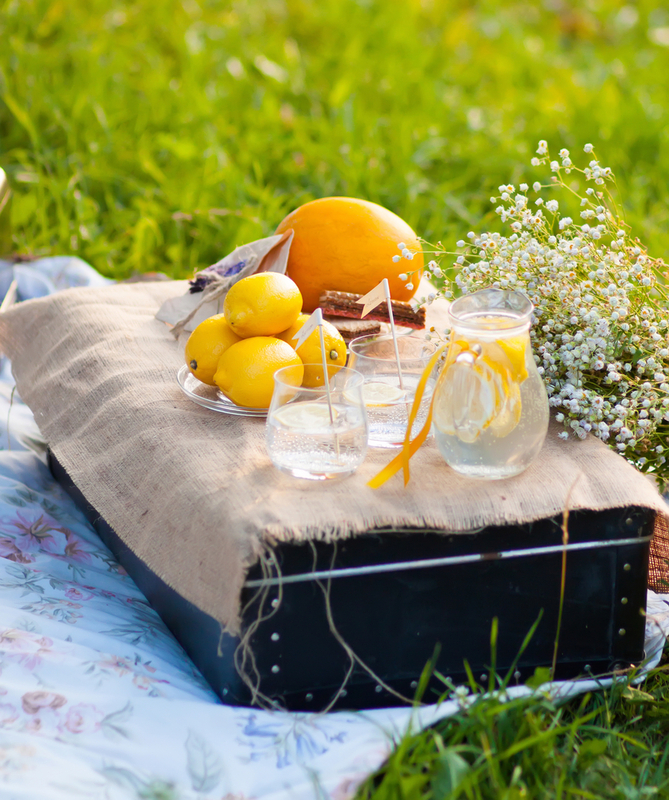 Spring has been warming us up to Sunday picnics, evening dinner parties, and most nostalgic of them all, summery sips of infused drinks and mixed cocktails. A glimpse of the botanical abundance found in everyday cocktails was first introduced to us in a book, The Drunken Botanist, by Amy Stewart. Why not add more of an aromatic flavor experience to our cocktails this summer! 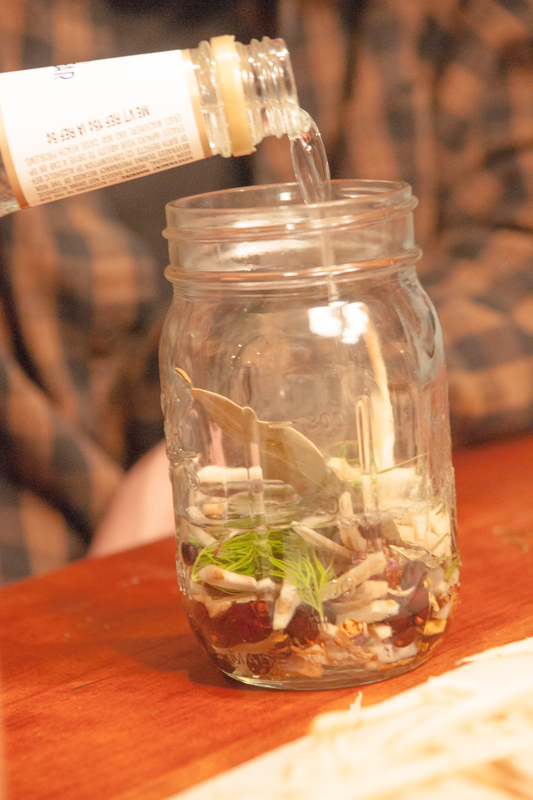 If you’d like to craft a more complex taste then handcrafted bitters is a simple way to make familiar drinks seem new again! Bitters are concentrated liquor flavorings that are mixed into drinks to give a deeper and more complex flavor. Back in the day, they were used a medicinal tonics to help with indigestion but slowly have become a essential ingredient for mixologists and their tasty cocktails. The bitter taste can be derived a few different ways. Most commonly it comes from citrus peels or bitter roots and bark. The bitter taste is then extracted using alcohol that is at least 100 proof. The higher the proof, the more easily flavors are extracted from your ingredients. For our bitter creations we used bourbon whiskey and Everclear (whew 151 proof!). Once you have your bitter agents and alcohol you’re ready to experiment with more complex and subtle flavors. Making bitters is an aromatic experience. You are encouraged to relax and enjoy this creative process of experimenting with different ingredients. 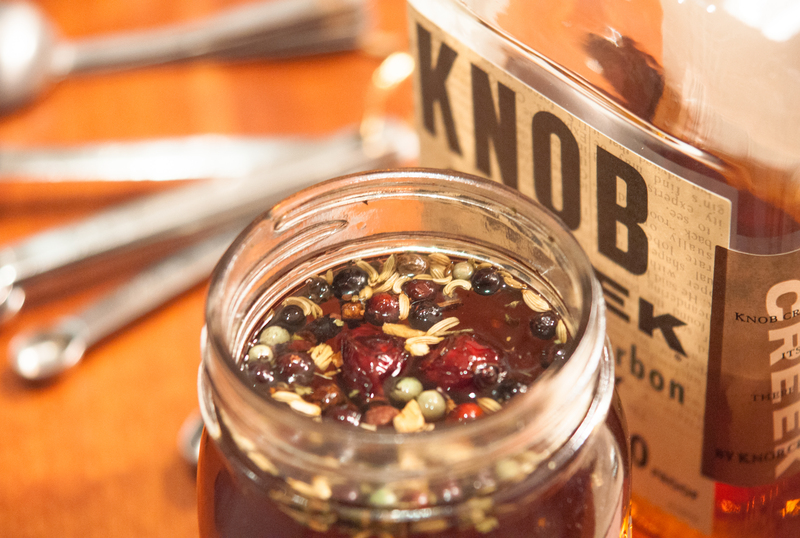 It’s easy to get wrapped up in creating a complex blend of herbs, spices, and fruits. I found a plethora of unique aromatic ingredients I enjoyed sampling and selecting was found at the nearest organic grocery store in the herbs and spices section. A trusted resource for some “hard to find ingredients” is Mountain Rose Herbs (https://www.mountainroseherbs.com/). Here’s our own bitters recipes along with a few suggestions for other ingredients you can use to create your own variation of bitters. We hope you enjoy making these as much as we did. Remember, a little bit goes a long way! 2. Add the alcohol & gently muddle the ingredients. 3. 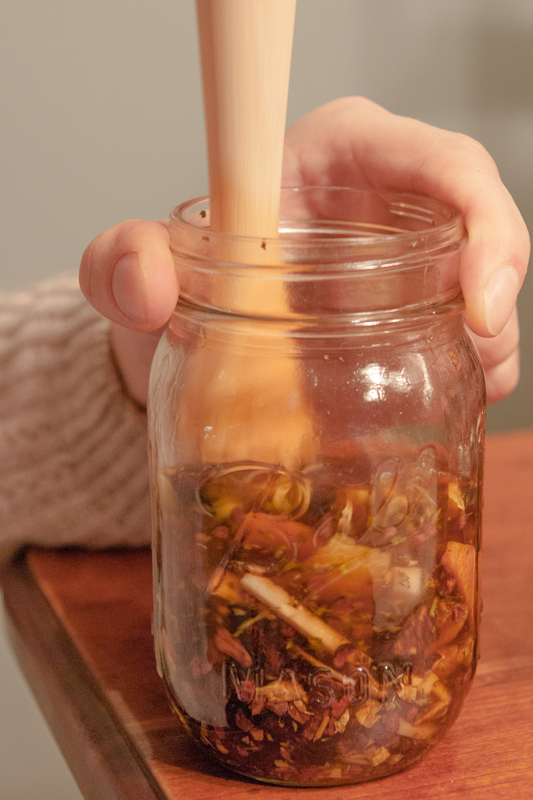 Store at room temperature and shake the jar every few days for up to 30 days. 4. When the desired flavor is achieved, strain the infusion through cheesecloth. Enjoy bitters in cocktails, soda water, tea, and almost anything! 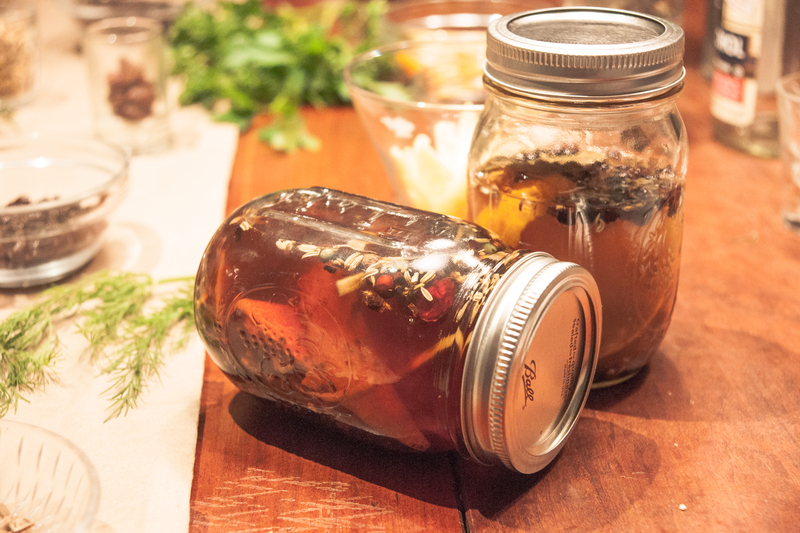 Storage Tip: Securely close the jar and store at room temperature away from sunlight. Best used within a year. Don’t be afraid to experiment and try some of these unique ingredients!